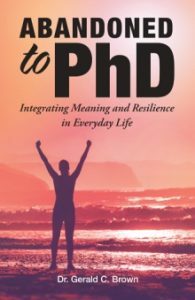 This work is an autobiographical voyage through my life and includes wisdom and guidance to develop an individual’s true inner compass—your thoughts, feelings, behaviors, self-awareness, motivation, and cultural exploration—while building resilience to find your life’s purpose. In addition, there will be several case studies illustrated, as well as tools at the end of each chapter for further reflection and practice to enhance daily functioning. The orphanage I lived in was a one-floor ranch style home with four large bedrooms (2 sets of dilapidated bunk beds in each room) and one unemotional living room and kitchen including a large barren wooden table for dining and a set of rickety wooden chairs. I distinctly remember the stark, clinical white walls of the orphanage as if no youthful effervescence was permitted or existed. The chairs, concrete floor, and Spartan arrangement of furniture gave the impression of a home deserving of a loving owner. There was a small patio with one faded red bicycle and a few blades of grass fighting to exist in rocky and parched soil. The bicycle would be our one true luxury and we fought like rabid dogs to get some ride time. For experienced and compassionate therapy in the Cornelius and Statesville area, North Carolina, reach out today. You can contact Dr. Gerald Brown by phone, or by filling out the contact form and clicking Send.